You will add many Cheats: Teleport to Drone , Teleport to Waypoint , Instant Rebel Support Cooldown , Super Stealth Mode and many more. Welcome! Below we have reported the Trainer of Ghost Recon: Wildlands with also attached a small guide to its use. 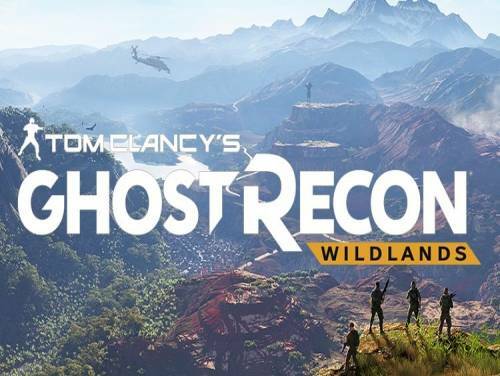 Together with the trainer we can also provide you with the tricks of this game Enter the tricks and codes page of Ghost Recon: Wildlands and you will find all the tricks and unlockables to easily finish the game and, often, even a small guide to the collectibles of the game. Set a couple of years in the future compared to the previous games in the series, Ghost Recon: Wildlands allows players to lead a team of Ghosts, four players of the Forces of Elite Special ops on a secret mission to destroy the drug cartel Santa Blanca, a force the part of organized crime and the increasing global threat in a dangerous Bolivia. With hundreds of villages and well-known landmarks, local legends, and factions and regions, the players avventureranno in a vast world with which to interact and explore. Thank you for reading this brief introduction, and now let's show the guide to the trainer and the button to download it. The program you are about to download was not created by Apocanow. However, we have permission to publish and publicize by the authors of the Trainer Ghost Recon: Wildlands Trainer - v2836063+ UPlay. The contents of the file are virus free, even if sometimes they can trigger the AV as false positive. The trainer is now designed to launch the game for you. Run trainer. Wait for the game to be launched at get to the main menu. Press F1 at main menu of the game once it has launched. Running the trainer will launch the game automatically. WE DO NOT CONDONE MULTIPLAYER CHEATING OR CHEATING ONLINE! when you are done playing. feature of Steam to reset all the files. you reload, you have 999 of most ammo. weapons will not use ammo. deploy the drone, it has unlimited battery life. page. Next, click the SKILLs tab and note your level. Each press adds another level. page. Next, click the SKILLs tab and note the amount you have. trainer. You can set it to whatever value you like. needed. While hovering over the item, press this option. Leave and come back and you will have changed the value. can basically fly with an unlimited signal range. shot at. If you want them to engage, then turn this off. this will protect you from most damage and gunfire, etc. helicopter blades and etc, so try and fly and drive sensibly. will reset instantly for use again. press this key to capture its location in the game world. locations of interest very quickly! press this option to instantly teleport to that location! strikes, the timer resets instanty.